Mama, Where Does Olive Oil Come From? 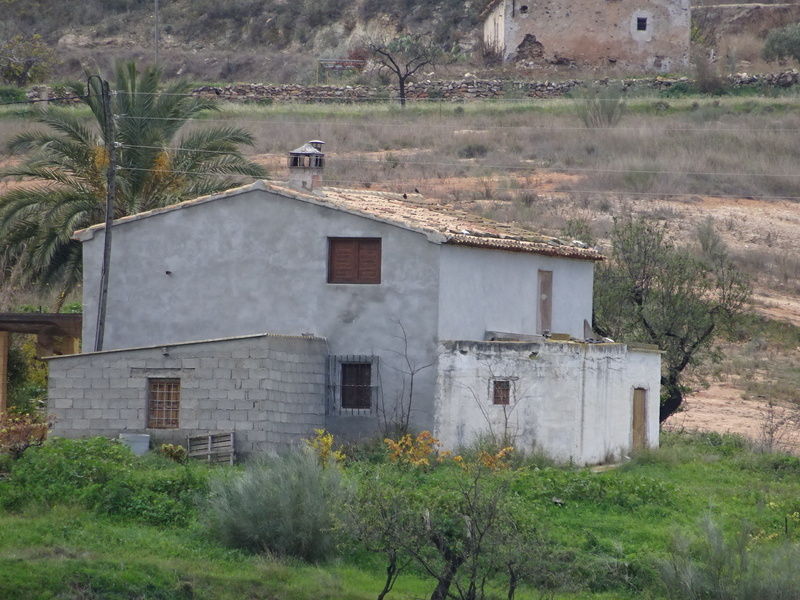 Posted on December 14, 2015 by No Map Required Posted in Places, Spain	. 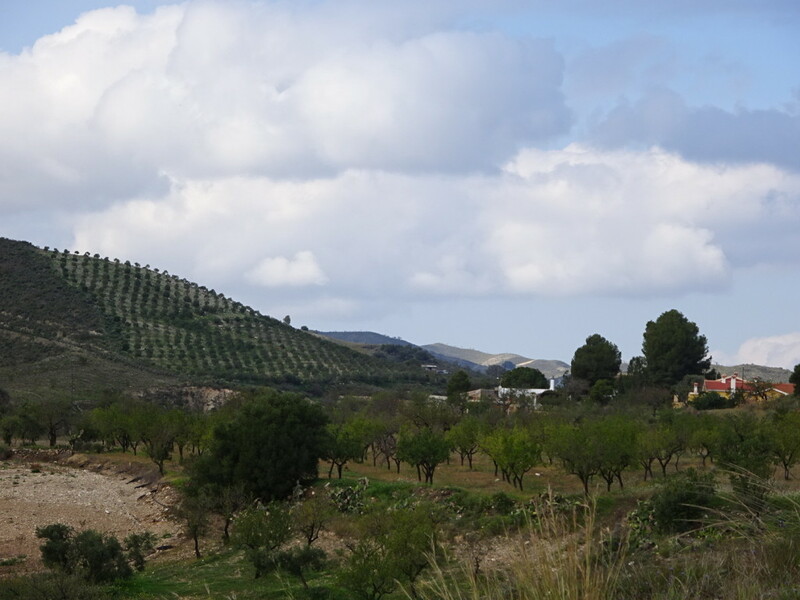 Surrounded by lemon, lime, orange, almond and olive trees here in the hills of southwestern Spain, we have quickly acquired quite an education in the uses of tree-born foods. Yesterday’s adventure: learning about olive oil. Ever wonder what all goes into a bottle of olive oil? In simple terms…Hard Work – that’s what! 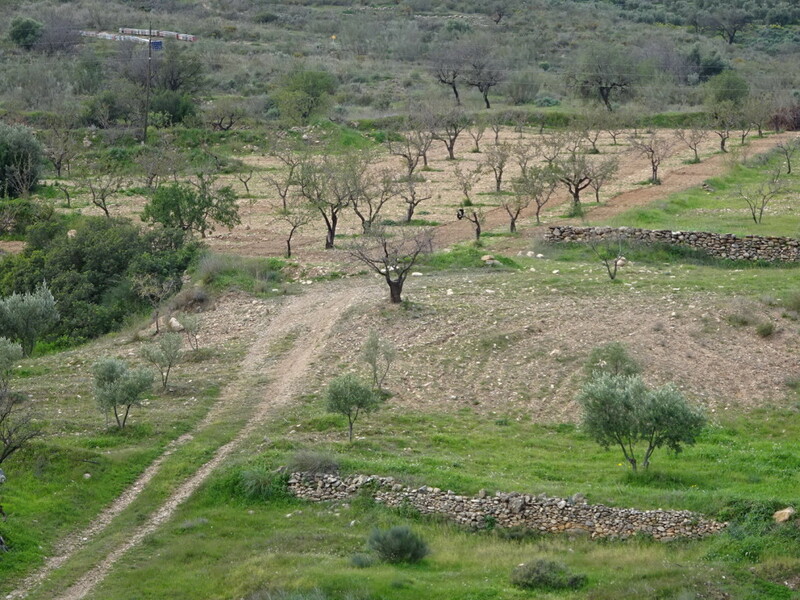 Olive groves look like this. There are family groves like this one all over our area. 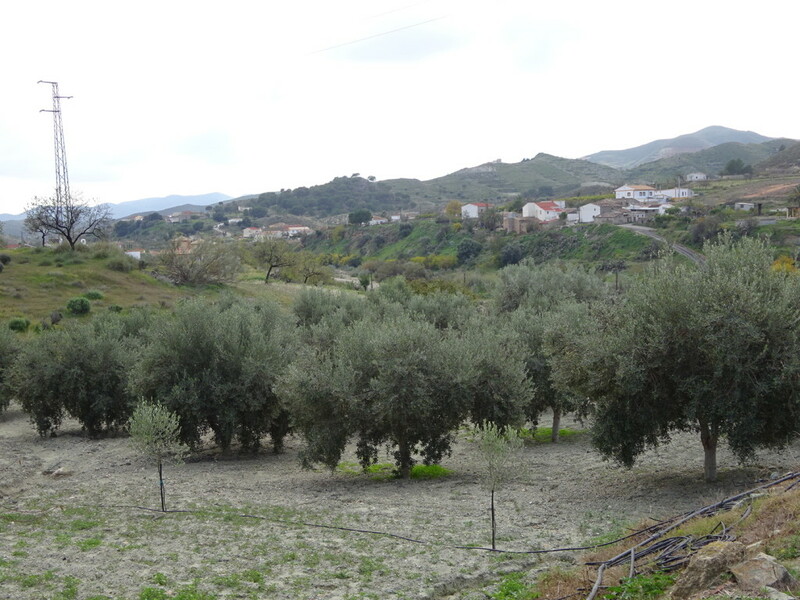 Families often grow enough olives to produce all the olive oil they need each year, which is saying something because that might mean a couple of liters a week. A WEEK! Here’s a close up of what the olives look like. Our host Bartolo said we could eat as many as we like. I knew it must be a prank and I was right – fresh picked olives are disgusting! 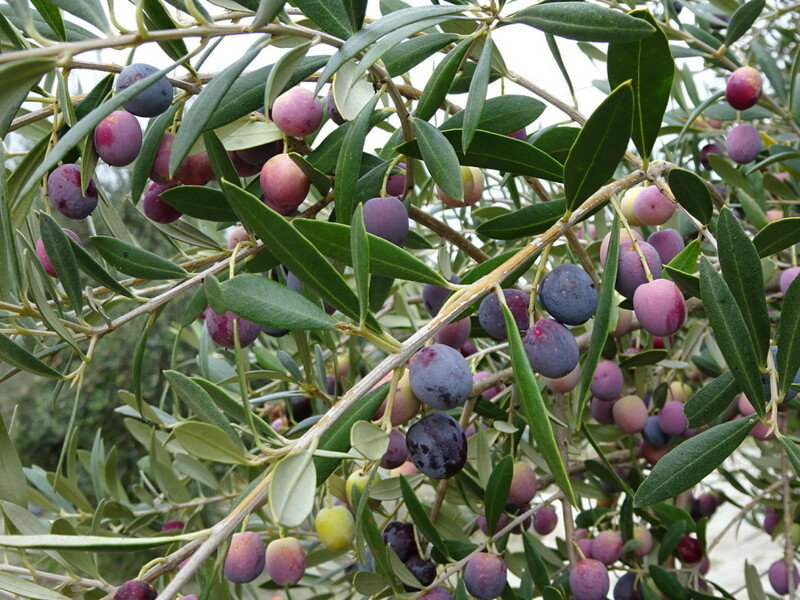 Note: there are actually a bunch of different kinds of olives, these are the most common type here in Lubrin. 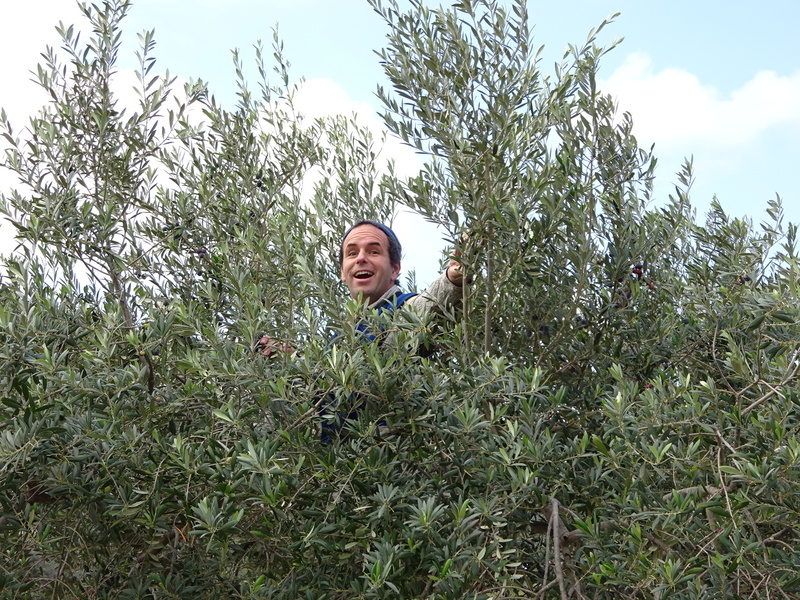 First thing you do is place large nets under the trees to catch the olives you’ll be getting off the trees. 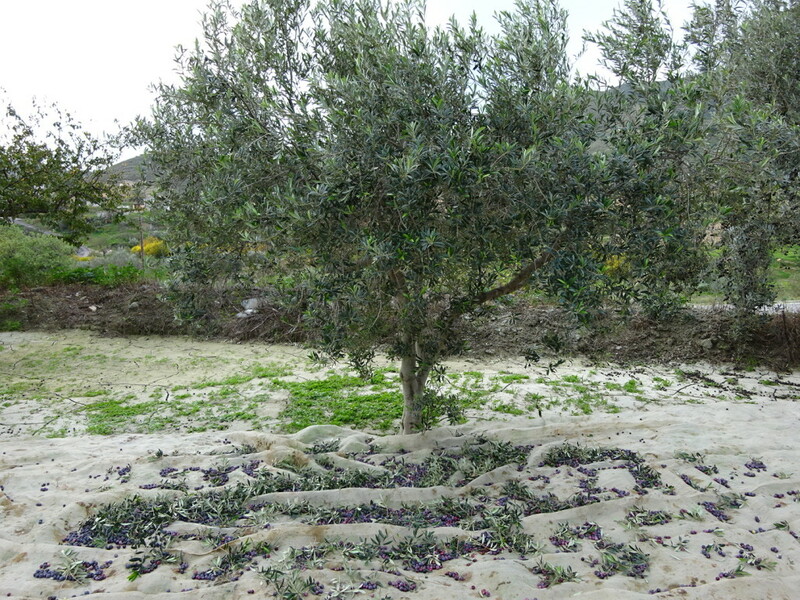 Next thing – don’t step on the olives! Or just pick them by hand…but do it for hours upon hours. Or days upon days for most locals. Aaron climbed on up – leaving no olive behind! Such dedication. Our supervisor, Bartolo, the owner of the grove. 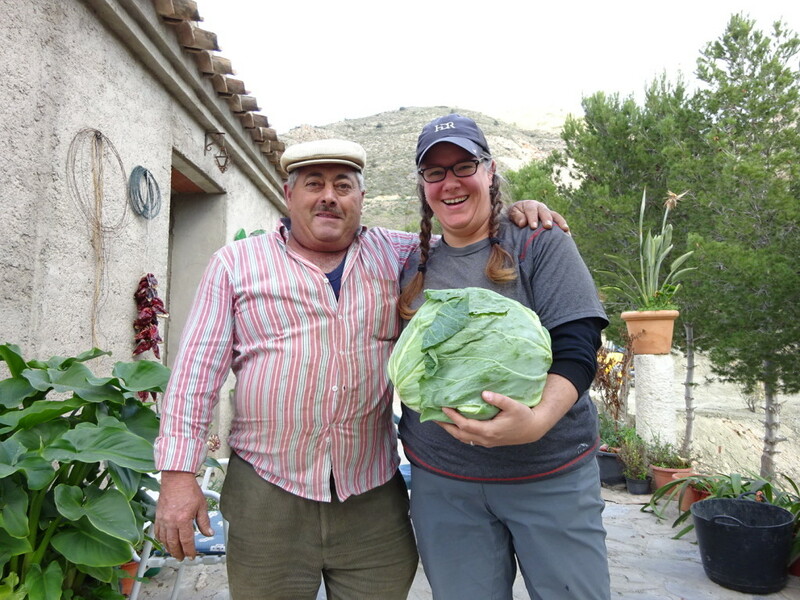 Super sweet fella who sells veggies in the Wednesday Market – we’ll check that out in a few days! 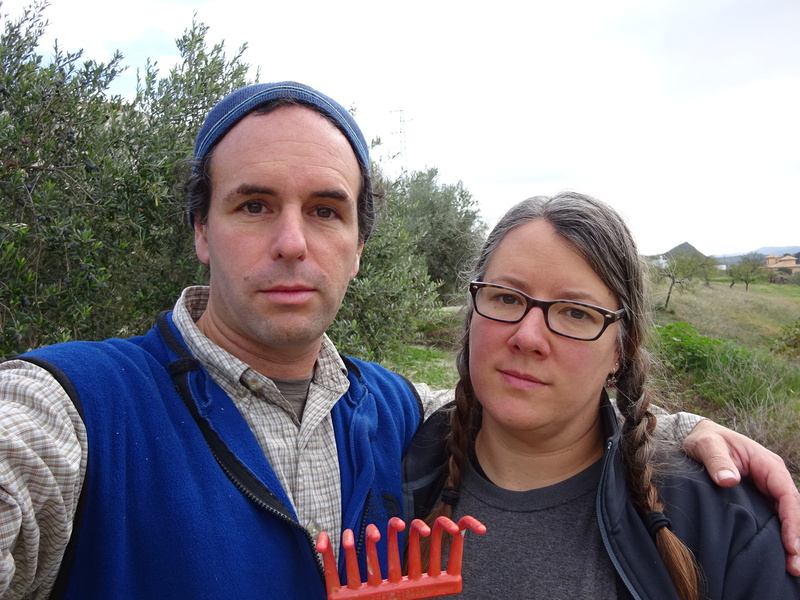 Thanks to some kind expats, Warren and Betsy, we got to join in on picking day. Bartolo has gardens and groves galore. We agreed to help him for a morning, though we think he was a little surprised when we all showed up. I’m betting he thought Warren and Betsy might not make it, and when they brought us along… He took us in with a smile. It took the five of us about three hours to pick four or five trees. Bartolo was working all alone when we showed up… hopefully we were more help than hassle. 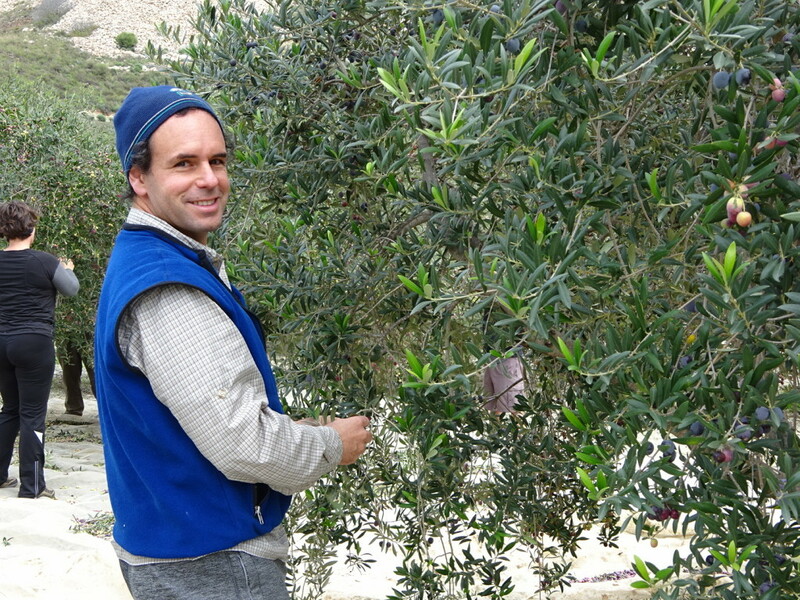 He picks his trees single handedly every year and has been picking olives since he was a boy. 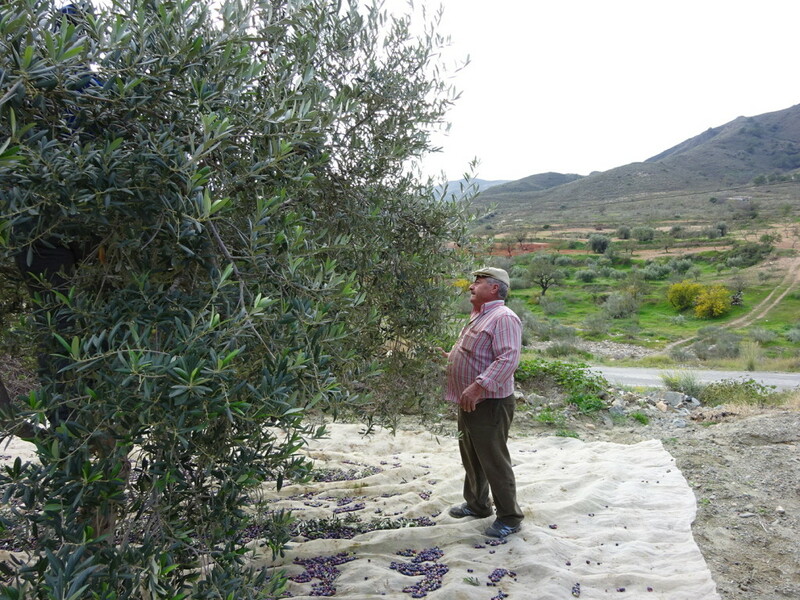 His groves will produce about 300 liters of olive oil from 1000 kilos of olives. That’s a lot of picking! All from one man. It takes him about nine days to pick the trees himself. Oh how we suffer with these awful views…NOT! A road to more groves – a typical sight around here. The olives often come off the trees with bits of branch attached. It’s not a problem evidently, as olive trees grow really fast and are producing within just a year or two! They often prune them low anyway to aid in picking. After you finish with a tree or two, it’s time to gather up your nets and look through every little branch that fell onto the net. 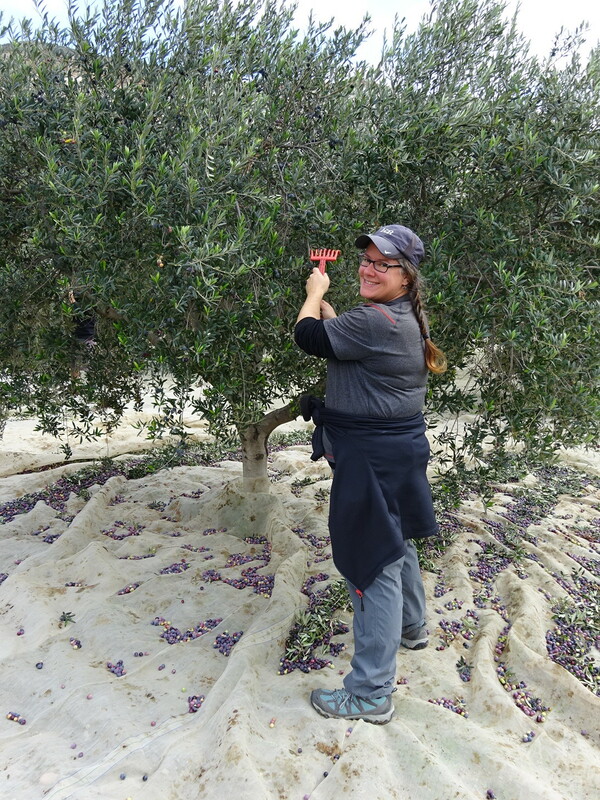 Pick off any olives that were left on the branches and toss the branches. If you don’t, when you get the olives pressed they will toss the branch WITH the olive and you don’t get paid for the olives they toss. No good! Then gather the olives into crates…. …and stack ’em up, boys! Then off to the olive press! 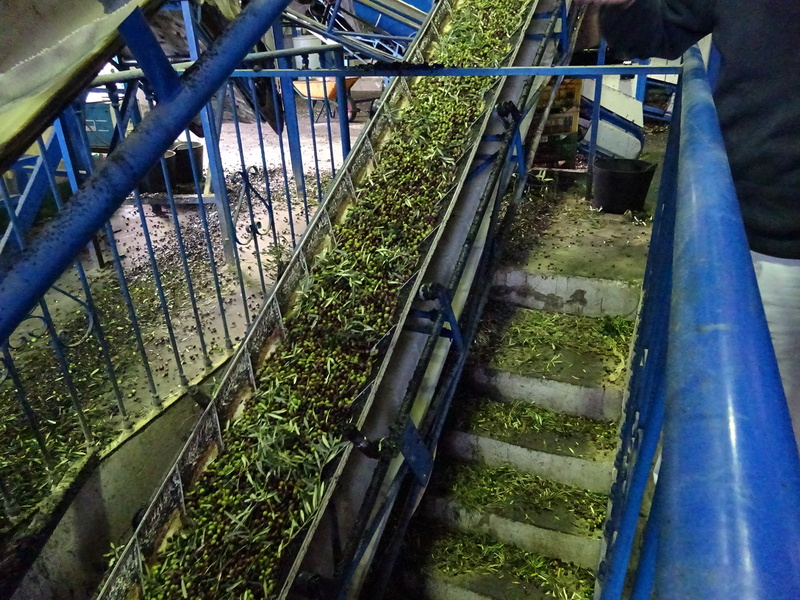 The Lubrin olive press operates 24 hours a day during olive season. It doesn’t stop for holidays, either! Family farmers like Bartolo pull up in their cars, sharing the line with huge industrial trucks from the corporate farms. They might wait hours for their turn. 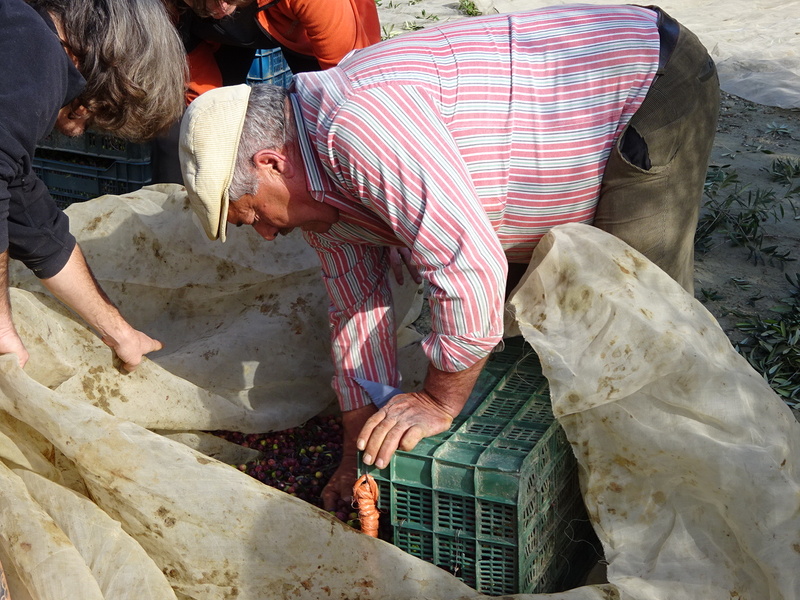 When their turn arrives, the picker’s olives are weighed and sampled to see what percentage of their olives are actually oil. We’ve heard ranges of as low as 13% oil all the way up to an astounding 32%! 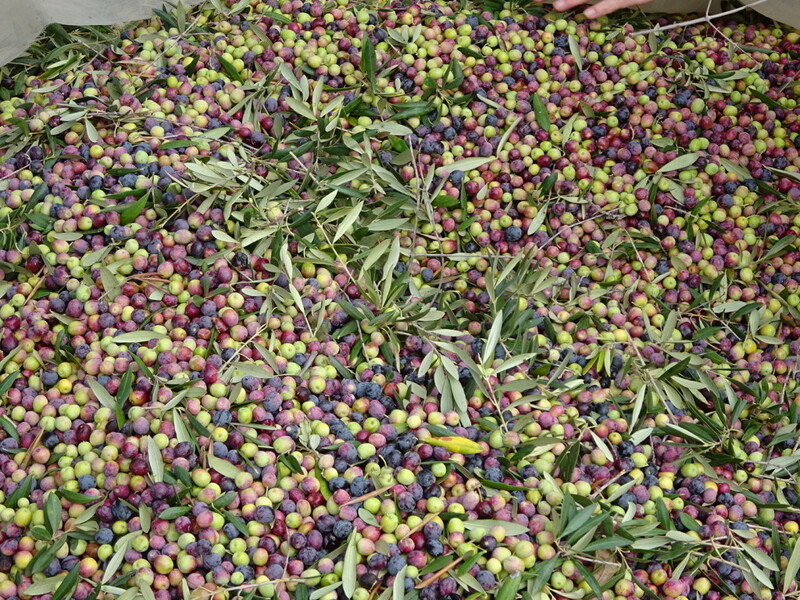 That’s a heck of a lot of oil when you figure that a lot of the olive’s weight is already taken up with the pit! One surprise – apparently size doesn’t matter. Sometimes the smallest olives have the best return. Between the overall weight and the oil percentage, the press people calculate how much oil each farmer is delivering. The farmer has the choice of taking the oil in liters for their own use or selling it to the press. I think the press always takes a cut for itself. 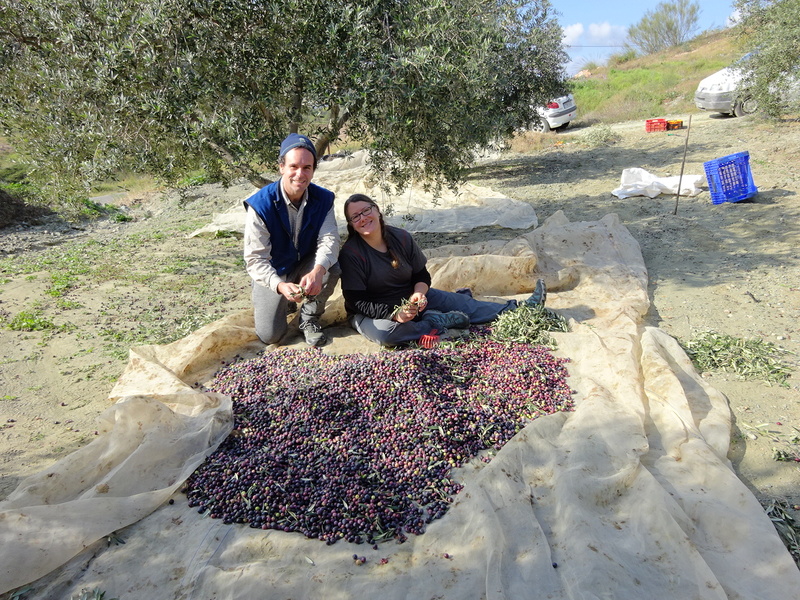 Oh, and if you’re producing over 500 liters, you can actually have your own olives’ oil set aside for you so you can brand your specific oil. Otherwise you get liters with the press’ name on it which is a mix of everyone’s olives. 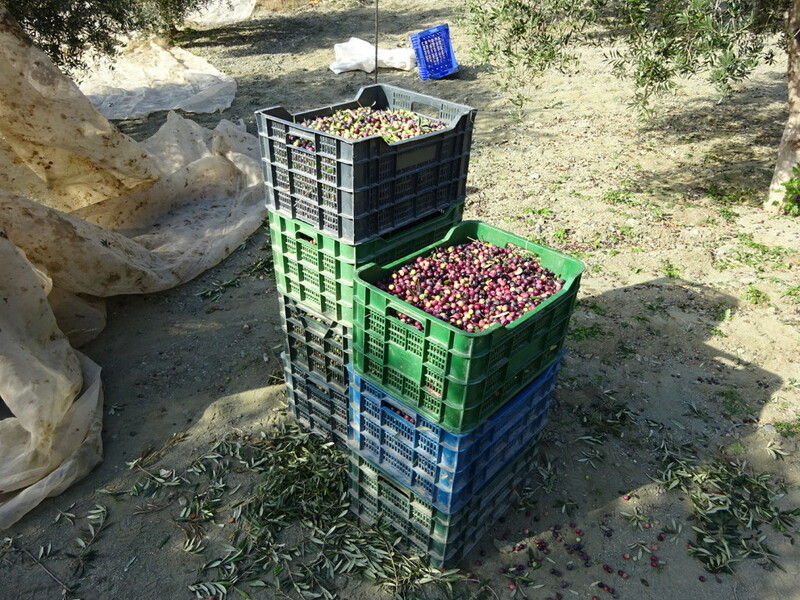 Almazara de Lubrin – making the most prized of Lubrin oil. 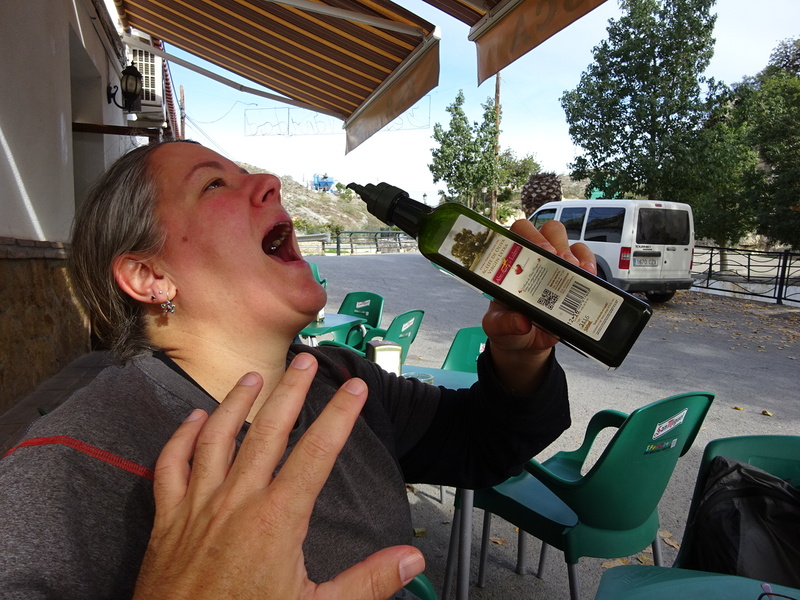 Lubrin olive oil is prized. We’ve heard of folks (even restaurants!) who come from far away specifically to purchase this oil. Speaking from experience it tastes ga-oooood! Anner would do shots of it if she thought she could get away with it. But no. Another little tidbit: Lubrin olive oil is green! And we’re not talking extra virgin with a hint of green. No, I mean GREEN! That’s the color of fresh olive oil. Who knew? Here’s a little video showing a bit of our experience. Best part is you can hear Bartolo’s Spanish, which I love. 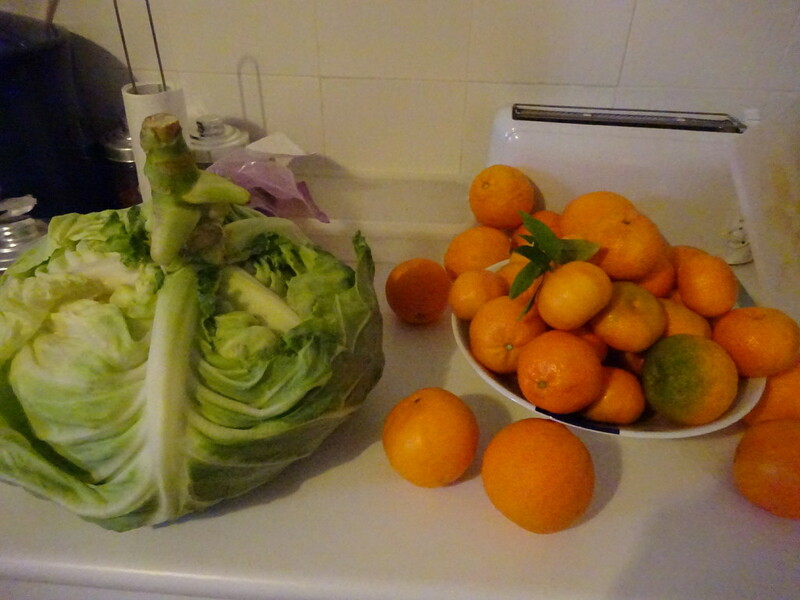 In exchange for helping, Bartolo paid us in fresh picked navel and mandarin oranges and a giant cabbage. And I mean GIANT cabbage. Bring on the orange juice! Paid in full! Any suggestions for the cabbage??? We had an awesome day getting our hands dirty learning where olive oil comes from. I can now honestly say that whatever we pay for olive oil, it’s not nearly enough! Just thinking about all the people who pick so much of our produce…Oy! And we weren’t even doing one of the jobs requiring us to be stooped over all day. Can’t imagine… Let me just say to all the produce workers out there: Thank You! We love our freshies! Spanish Gothic. We couldn’t resist. « Homecoming 2016 – Holy Smokes, We’re Going Home! That looked like a fun day. Love the pics. I wonder how old the oil is that I’m using and why it’s not green anymore. It turned into a huge batch of minestrone soup and some of was given away. Happy to report it’s all finished now – thanks for the suggestions. And, oh, can’t wait for pho again once we return home! There’s so much fun stuff to see out there, it’s hard NOT to be giddy with excitement! I didn’t think I’d be interested in “where olive oil came from”, but you proved me wrong; I read the whole thing with great interest. Time to start travel blogging professionally! Wolfe has a good idea! Why not get paid while traveling? Ads. Subscriptions. Sign me up.